Hello! This is GoFresh. How can I help you today? I would like to order some Winter Squash. 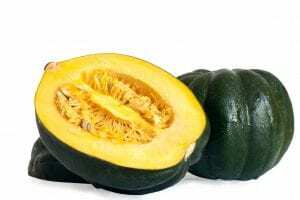 Winter Squash… Winter Squash…. What? Have you ever heard that term? Apparently, it is a common produce term. Now it is not the name of one particularity type of squash but a variety of squashes that are harvested in the Fall. Also they are classified as fruits, not vegetables, since they have seeds. Many of the winter squashes are beautiful with all the different colors and patterns. If you don’t believe me, do a google image search. Even though they taste wonderful, if you don’t want to ruin it by cutting into them, you can use them as décor also. Don’t forget to save the seeds that you scoop out of your winter squash! Seeds are a healthy and delicious snack food and can prepared the same way as pumpkin seeds. 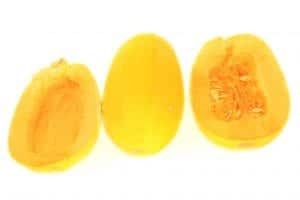 Squash seeds need to separated from the pulp before baking. 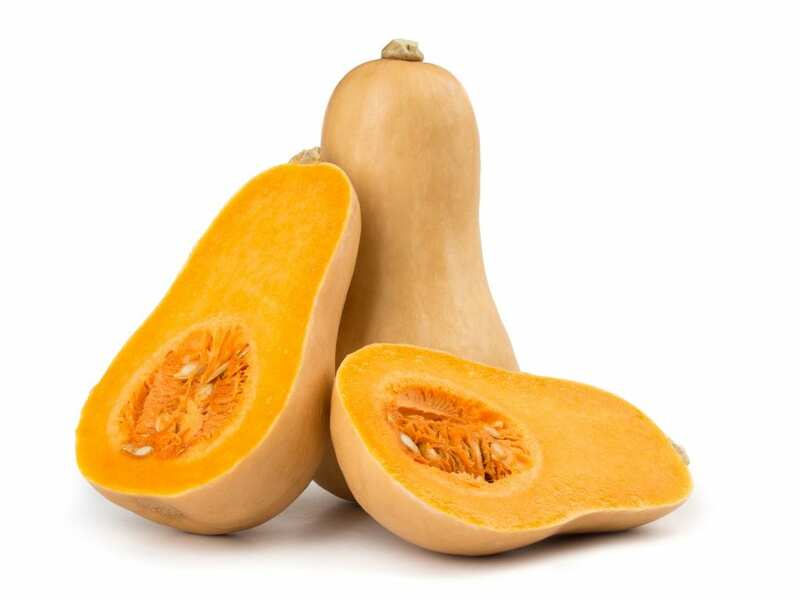 What about Buttercup squash verses Acorn Squash? They can look similar so how do I know which is which and not use the wrong one in my recipe? Dan McKayat Chowhound gives some great pointers. “Acorn Squash – Well it looks like an acorn (duh). These green squashes with orange flesh are thick-skinned and can be served peeled or sliced (with the skin in tact). Acorn squash is fairly adaptable and can be used in a variety of dishes. I love spaghetti with fresh vegetables, garlic, and marinara sauce but Spaghetti squash? Why do they call it that? Does it taste like spaghetti? Emma Christensen can answer this. Thanks Emma! I may have found another way to sneak more fresh vegetables into my children’s diet. YES!!! Now what else can I make?